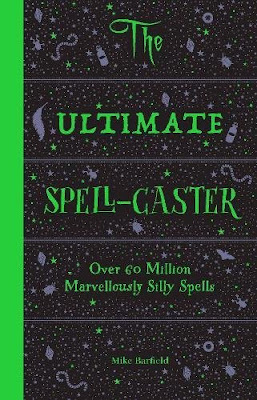 Mike Barfield's "The Ultimate Spell-Caster" might not have any illustrations, but it's provided C with hours and hours of fun. So what on earth is this book about? As you can probably spot from the cover, the book is divided into 5 horizontal sections which can be messed around with, flipped over and combined to form over 60 million (!) spells to confound and charm your elders. It's such a simple idea but works absolutely wonderfully, the sort of book that's perfect as an extra stocking-filler or halloween treat, so it's out just in the nick of time for both Halloween and Christmas. 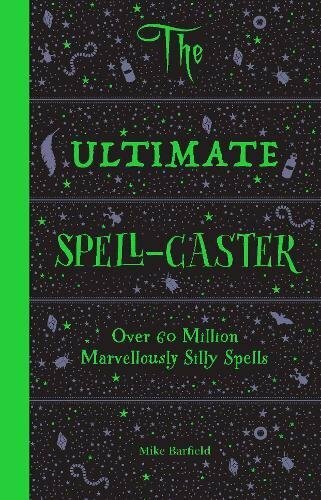 "The Ultimate Spell Caster" by Mike Barfield is out now, published by Laurence King Publishing (kindly supplied for review).